The Holidays are coming up and it’s an enjoyable time of year. I’m not a very festive guy but around this time of year I get to see my family more often. My brother and his wife and my in-laws come in town around this time. It’s nice to hang out with the family and pretend it’s winter here in Miami. But seeing my family is the part I like. The other parts of the Holidays or Birthdays are basically “meh” to me. My wife calls me the Birthday killer because I don’t like giving or receiving gifts. I suppose i’m somewhat of a curmudgeon in that sense. On the other hand, my wife loves Birthdays. She starts talking about them a month or so in advance. We celebrate her and my childrens birthdays many times during that week. You know what I mean. 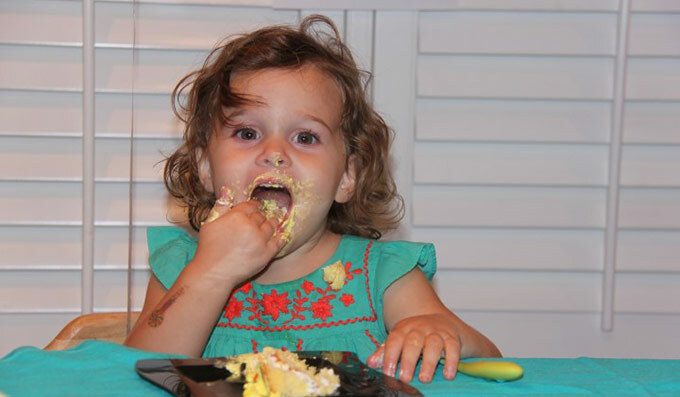 A cake for family, then a cake at dinner, then cupcakes to school, then a party and maybe even a trip to Disney. It’s exhausting doing all this celebrating. But despite the fact that I don’t get excited about Birthdays or the Holidays, I understand i’m in the minority. You can’t be a downer with your ecommerce business. 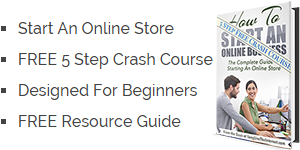 You have to build excitement during these times with your online store. For most ecommerce businesses, the last quarter of the year produces as much revenue as the rest of the year. With this in mind, you have to capitalize during this time. So here are my 5 ways to increase your online sales during the holidays. 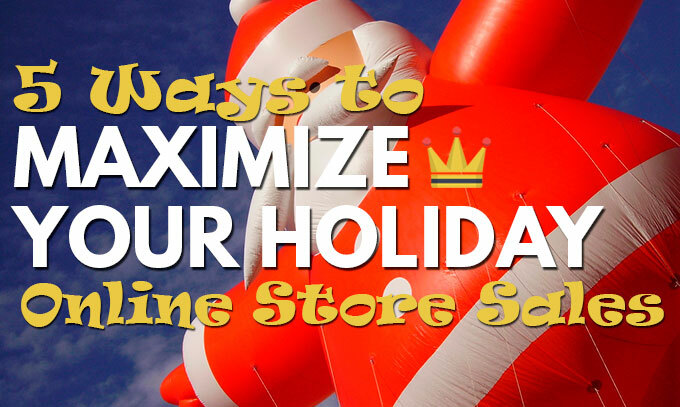 5 Ways to Maximize Your Ecommerce Revenue Over The Holidays? 1. People like deals: Everybody likes to feel like they are getting a deal. You are going to have to discount your pricing during the Holidays. Come up with a plan that works for you. Maybe you want to put certain items on sale and call it the Holiday Sale Collection. Maybe you want to offer a fixed discount across the board. Some online stores give a free gift with every purchase during the Holidays. There are tons of different ways to spice up your offer. Use them and get creative. 2. Make Mini Events: The Holidays is a general term that really refers to a number of opportunities for your ecommerce business. The number of shopping events have grown over the years and you now have at least 5 events you can market. A. The Holidays actually start with Halloween. This is a great holiday that you can create a sale for. There are tons of ways to get creative here with Halloween. This holiday is fun and gives people a reason to buy in October. They may not have started thinking about the Holidays yet but will still spend on themselves. Don’t underestimate the power of a Halloween Sale. B. The week before Thanksgiving you can make a friends and family event. Send an email to people who have purchased from you in the past and make a personal message. You can connect with them as the owner of your business and thank them for being loyal customers. Create a coupon code and let them know they are getting the first shot at all the new inventory. C. Thanksgiving day is actually a big shopping day. People are at home and on the internet. 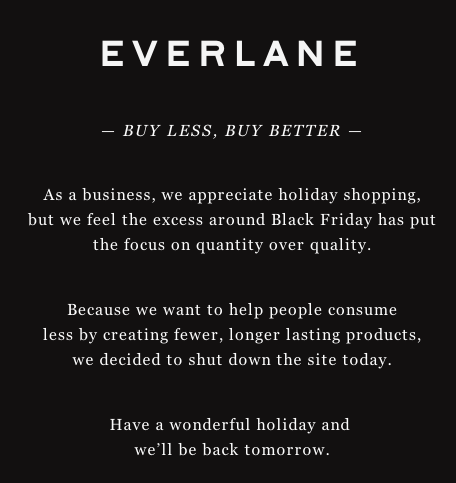 Even though companies like Everlane have become altruistic and stopped selling altogether on Black Friday, you don’t have to. While I respect their decision, most of us are not in a place to be able to afford that. Send out a sale Thursday morning and capture sales on Thanksgiving Day. D. Black Friday is the day after Thanksgiving. You can actually extend your Thanksgiving sale right into Black Friday or give a special perk for just for this day. Maybe send an email with a special gift you are including with all orders for buying on Black Friday. E. People are back at work on Cyber Monday and ready to shop again. Some people start filling in the holes of gifts they weren’t able to get over the weekend. Others are just looking for a sale. Don’t ignore Cyber Monday. It’s name comes from the fact that most online sales happen on this Monday. You need to keep your foot on the petal all the way through Cyber Monday with a special email, promotion, and discount. This is your time. Online shopping is winning. 3. Dress Up Your Store: People like decorating. You start seeing Holiday lights shortly after Halloween. It’s part of the spirit of the Holidays. Carry this into your online store and show some spirit. You can make simple changes to your logos to make people feel festive. Here is an example of what we do on one of our software products during the Holidays. It’s a cute little change the makes people feel good. At the least, you must have sliders or imagery made for your website for these events. People want to feel like your site is current and active. If you don’t change anything, you aren’t creating any excitement. Appearance of your online store matters. Embrace the Holidays and shout your message through your images. 4. Create Scarcity and Urgency: One of the best ways to sell online is to make people feel like they may not be able to get what they want. All your offers have to have an end time and you need push them. Additionally you want to create the feeling of scarcity. All these techniques help push people over the edge. 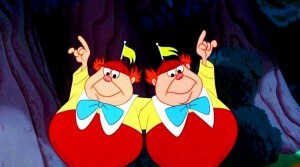 You want to imply that they need to act now. It’s not going to get better than it is now. 5. Make Them Feel Special: The last thing you want to do is make every purchaser feel important. When someone buys from you, they should feel good about it. Maybe that comes in the form of an email with a coupon code afterwards. Maybe a simple thank you note locks in their love for you. This year, my wife’s fashion jewelry site has been including candy corns with every order up to Halloween. Now she is including candy canes with every order up until Christmas. It’s an inexpensive, nice surprise when your customers receive their order. These small touches help differentiate you from the others. So whether you are like me and find the Holidays much ado about nothing or like my wife who loves them, don’t apply your feelings to your online store. The Holidays are a big time for shopping and your store needs to look the part. Embrace the excitement that people have around this time and make as much money as you can. People are shopping and it’s up to you to go and gather as many sales as you can.